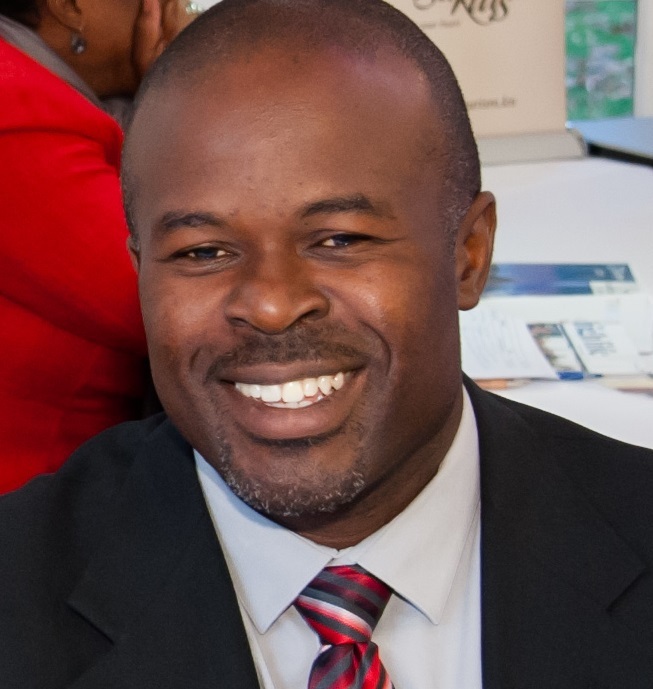 NIA CHARLESTOWN NEVIS (February 26, 2015) – Chief Executive Officer of the Antigua and Barbuda Tourism Authority Colin James praised the people of Nevis for their efforts at preserving historic Charlestown. James who was hosted by the Nevis Tourism Authority (NTA) was on a sight-seeing tour on February 20, 2015, when he told the Department of Information of his thoughts of Nevis. He expressed the view that Charlestown was an area which visitors to the island would appreciate. He described Nevis as a wonderful island and a place where persons could fall in love again. He spoke of the abundance of nature on the island and its beauty. 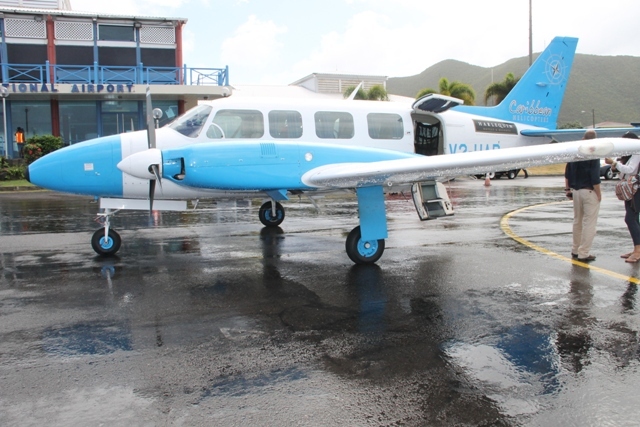 The Antigua and Barbuda Tourism official’s visit to Nevis came about when he travelled with Antigua-based Caribbean Helicopters Limited (CHL) on its inaugural flight to the Vance W. Amory International Airport. Commenting on the new partnership for added airlift from Antigua to Nevis, James stated that the move presented a host of opportunities from which both islands could benefit. He cited the prospect of joint marketing between both tourism authorities as one key area. “I think it’s good news. Every time you have airlift to a destination, you increase the choices that the passengers have, that your guests have. “You can move more people into a destination and I think it’s exciting times for our two tourism authorities to collaborate and work jointly in promoting our destinations,” he said. According to James, the flight to Nevis from Antigua took 15 minutes and he noted how easy and effortlessness it was to get to Nevis through the added airlift. He also spoke of the challenges of the movement of passengers from Antigua to Nevis and the missed collaborative opportunities for tourism officials on both islands and gave the example of what he termed “double drop” vacations. “Say for example, a guest would want to come from Canada, spend some time in Antigua then come over to Nevis. This presents a host of opportunities we can exploit and we can market jointly and we can work together,” he said. James also spoke of the increased air lanes and communication networks the new airlift would provide which would provide opportunities for Antiguans to visit Nevis and Nevisians to visit Antigua. “People will travel. People will share. There are events in Antigua – whether it’s cricket, sailing week, the events that we have – and knowing that we have some additional airlift and seats to the destination can only help both of our efforts as you promote Nevis and we promote Antigua and Barbuda. I think it’s a symbiotic relationship that both of us can benefit from,” he said. 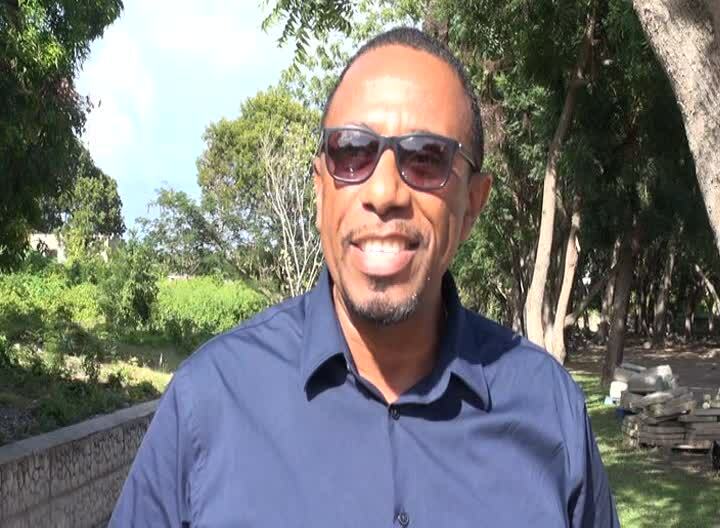 Meantime, in response to the Antigua Tourism official’s comment, Chief Executive Officer of the Nevis Tourism Authority (NTA) Greg Phillip echoed the sentiments of his colleague. “I agree with Mr. James that this new flight is a good thing for both of our destinations. Caribbean tourism is extremely important to Nevis, therefore, any opportunities for connecting our islands via air transportation is absolutely important. “We are looking forward to engaging with the Antigua Tourism Authority to do joint promotions to stimulate the travel between our two islands,” he said. Phillip also told the Department of Information that of further interest to the NTA was also the opportunities the new CHL flight offered international travellers to access Nevis with an almost seamless transition from the international flights into Nevis after flying into Antigua. He stated that the CHL air service to Nevis began the establishment of the V.C. Bird International Airport as an additional hub for Nevis. “We welcome it and we are looking forward to a long and successful relationship with CHL and with Antigua,” he said.